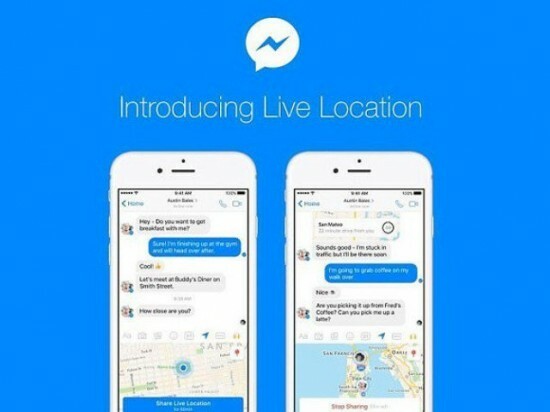 New York, the users can use the facebook messenger and they can inform their friends about their exact location, on which they are present and they can also exchange their location with their friends for one hour. When they reach at any rush place and they lose their way, then they can contact with their friends and share their perfect location, on which they are present. They have to switch on this feature and after this, they can share their location directly to their friend for one hour and their friends can watch them on this location for about one hour. To use the live location option of facebook, they will have to watch their present location on the map and the blue colored tap option will be present there. When they will press this option and their friends will get information of the places on which they will go and they will share this information for about one hour. When they will share this location to their particular friend, he will find the exact location and he will reach to you through car and he will also find the time, which will be required to reach to this destination. They will find the watch present below the map and they will watch the duration of your live location. They can press this option by pressing the button and they will close the option. It is to be clear that Google map and Apple have already provided this live location option to their users and now this option is included in facebook and huge number of users will use it for their convenience.